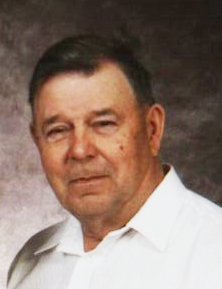 Norman Frederick Otsig, 85 years of LeRoy peacefully passed away in the company of his children on Sunday, November 18, 2018. Norman was born on the family farm near Romance, SK to Albert and Annie (Mierke) Otsig on March 14, 1933. Norman obtained his education at Natika School. At the age of 16 with $5 in his pocket, he boarded a train to Northern Ontario to work in the logging camps. He was well known for his kindness as he would be the only driver to drop off pies for the workers while he drove the Logging Lunch Horses. Later, he moved back to Saskatchewan and married Laura Tessmer at Jansen, SK. Together they moved to Regina and Norman started his trucking career with South Construction. In 1956 Norman and Laura moved back to the family farm and began farming. Norman continued to keep trucking to supplement the farm income. Norman thoroughly enjoyed every aspect of the farm life. They ran a mixed farm which included grain farming, milking cows, pigs and chickens. In 1963 he began driving school bus and had many wonderful memories of his students through out the 31 years. In his younger years Norman enjoyed curling and dancing. He also loved fishing with his family and friends. Norman lived for his children and grandchildren and great granddaughter. He was always very proud of each and every one of them and loved them so very much. Norman loved to go for coffee to visit local friends. He made friends with everybody. He always had more friends when he left the café then when he arrived. Unfortunately due to failing health Norman moved to St. Mary’s Villa in August of 2018. Norman’s caring and loving personality shone through as he made a huge impression on the staff in a very short time. Norman will be sadly missed and lovingly remembered by his 7 children, 9 grandchildren and 1 great grandchild: Ronald Otsig of Bragg Creek, AB and family, Stefan and Thomas; Edith Elias of Invermere, BC and her family, Dianna and William; Peggy (Gerald) Martin of Cochrane, AB and family, Nicholas (Camolyn) and daughter Hatley and Laura; Darren Otsig of Saskatoon; Susan (Troy) Julius of Bismark, ND, USA; Randy (Debbie) Otsig of Saskatoon and family, Christopher and Alex; and Darcy (Karen) Otsig of North Vancouver, BC and son Finn. Two sisters: Anne Wisser of Pitt Meadows, BC and Kay (Bob) Audette of Port Coquitlam, BC; numerous nieces, nephews and many good friends. Norman was predeceased by his parents Albert and Annie Otsig; wife Laura Otsig; son in infancy; sister Alma (Allan) Steffenson; and brother-in-law Vernon Wisser. AS PER NORMAN’S REQUEST, A Private Family Funeral was held on Friday, November 23, 2018 at 11:00 a.m. at Malinoski & Danyluik Funeral Home Humboldt. Officiated by, Pastor Clint Magnus. Interment followed at LeRoy Public Cemetery.